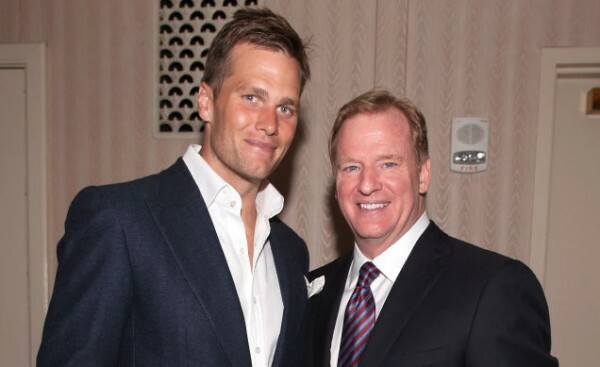 The NFL, which means Roger Goodell, have upheld their punishment for Tom Brady due to the deflated balls scandal, leaving it at four games at the start of the 2015 NFL season and the Patriots were also fined $1 million and lost their first round pick in the 2016 NFL draft and their fourth round pick in the 2017 NFL draft. Now it’s time for the second appeal, this time to the courts, outside of the NFL. Brady and his team appealed to the NFL, hoping that they can do a good job of completely erasing the effect of the Ted Wells reports, which suggested that Brady probably knew more than he was letting on and that he knew what was going on, probably at his request. The big problem for Brady is the cell phone story. He broke and replaced his cell phone on the day he was supposed to be interviewed by the investigators? While Brady claims that he always breaks his cell phone and the Sim Card after he gets a new one, his previous device wasn’t destroyed, which puts him once again in bad and very guilty looking lighting. The NFL wasn’t going to back off, and Brady isn’t either. Maybe things would have gone very differently for him had he cooperated completely a few months ago, but it’s too late now. Negotiations over a settlement didn’t work out. Brady would have been fine with just some fine, but the league wanted him to admit guilt and serve some sort of suspension. Brady wasn’t having any of it. So here we are – taking it to the next step. Maybe it’ll be quick, with an injunction, or it might be played slowly, taking the course of the season. It seems that Brady, who had the support of quite a few ex-players and obviously Boston-area media personalities, really shot himself in the foot with the cellphone story. Now it’s a matter of whether or not Brady has a shot to overturn the decision, with the backing of the NFLPA, in court. How it ends there? It depends who’s writing his opinion on the matter, so it could go either way, but there’s no doubt that the suspension being upheld is a big blow to Tom Brady and his credibility. The Patriots? They’ll survive.